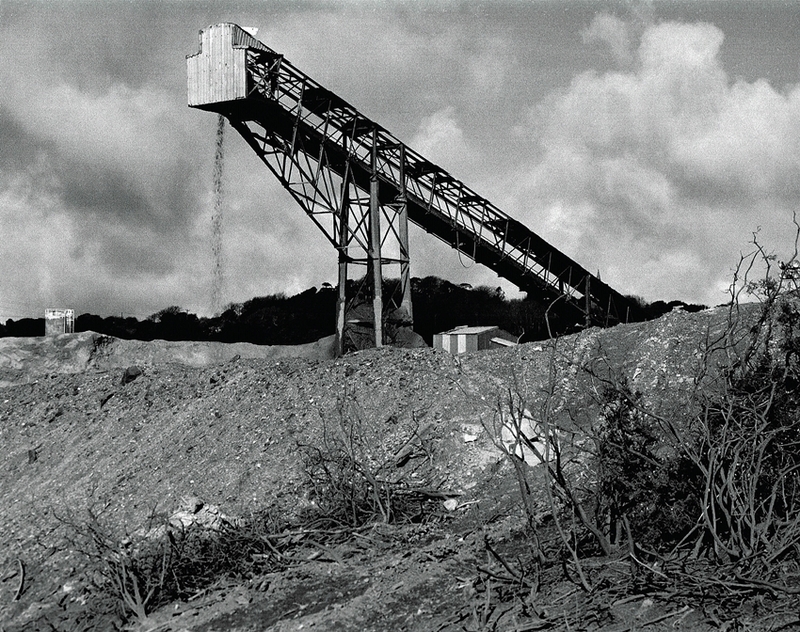 Wheal Jane Mine Gallery 2: This is the second page which looks at the surface remains of the mine. The majority of these were taken on my second visit in 1998 when I had the chance to walk around and really explore. Once again thanks to Paul Chesterfield for his help on the images. 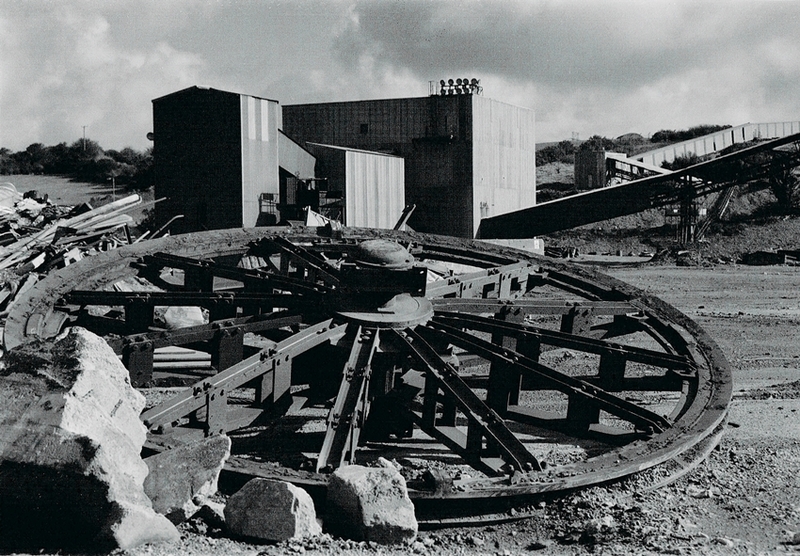 Wheal Jane Mine Gallery 2.1: A detailed image of one of Wheal Jane’s sheave wheels, left here after the headframe was removed, to the rear is the Primary Crusher House. 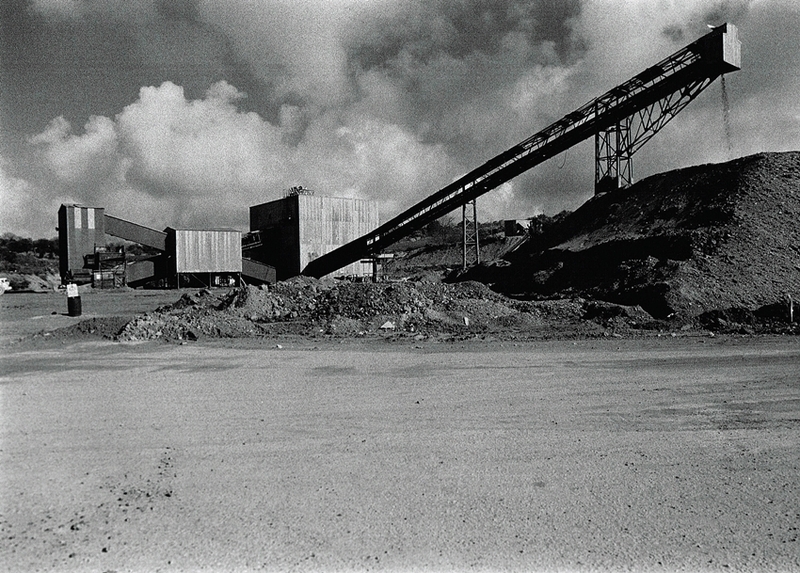 Wheal Jane Mine Gallery 2.2: The whole site was a photographer’s paradise, the crusher house and the fine ore conveyor belt. Wheal Jane Mine Gallery 2.3: A closer image of the previous image. 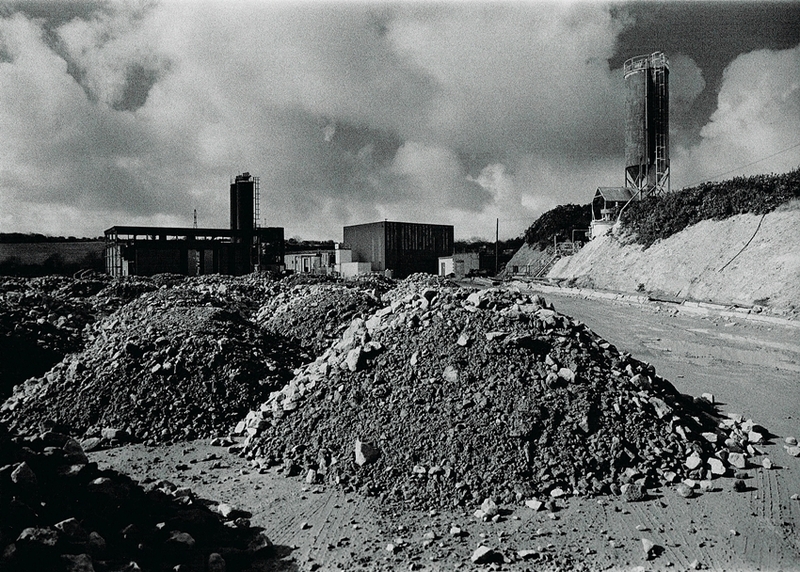 Wheal Jane Mine Gallery 2.4: Looking back towards the central site, the piles in the foreground are mined ore from South Crofty Mine, brought here by heavy lorry for processing. 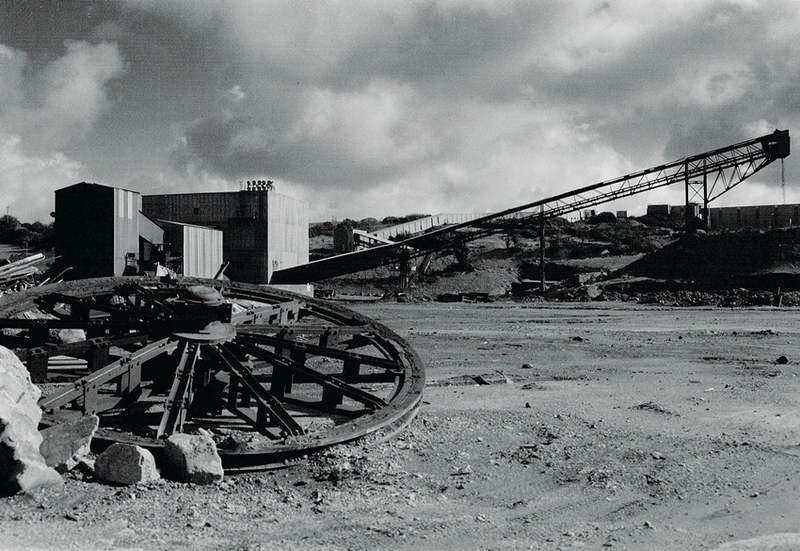 The ore here was one of the last deliveries from South Crofty prior to its sad closure. 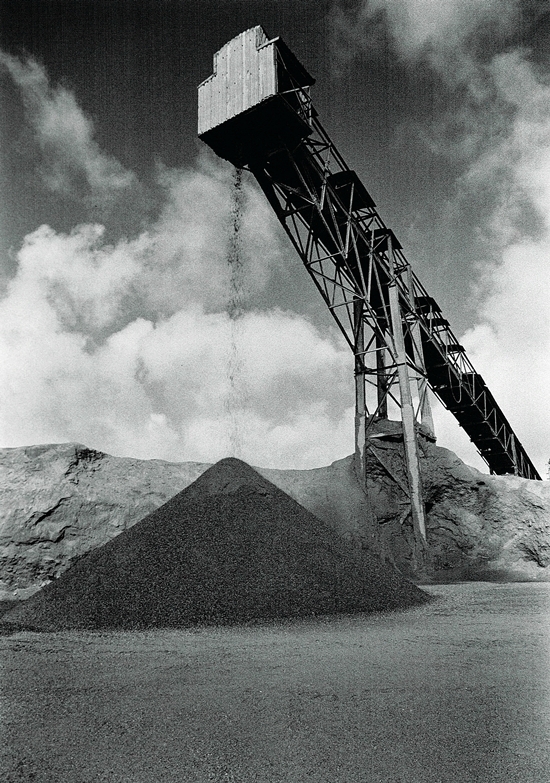 Wheal Jane Mine Gallery 2.5: The ore piles were moved to this hopper, where the conveyor belt would move the material to the primary crusher. 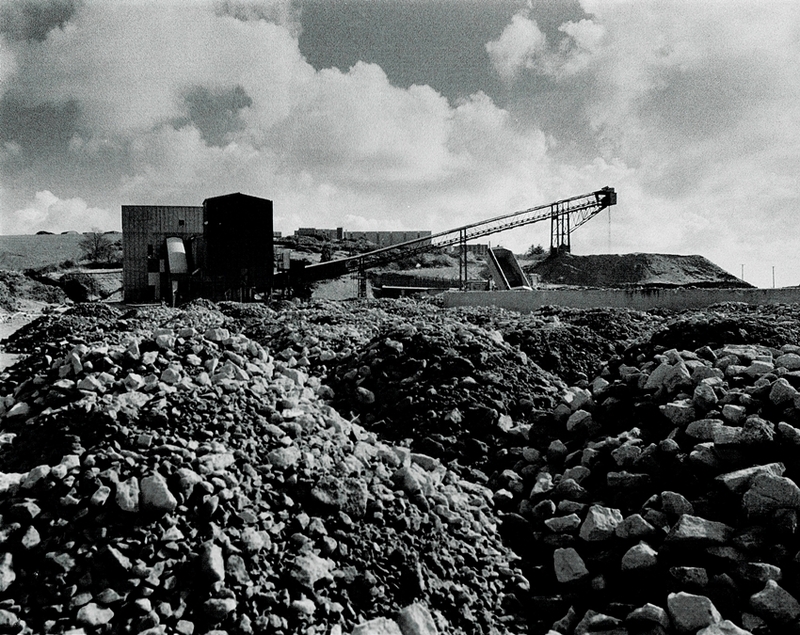 Wheal Jane Mine Gallery 2.6: More piles of ore, in the background a lorry can be seen dumping its load of mined material. 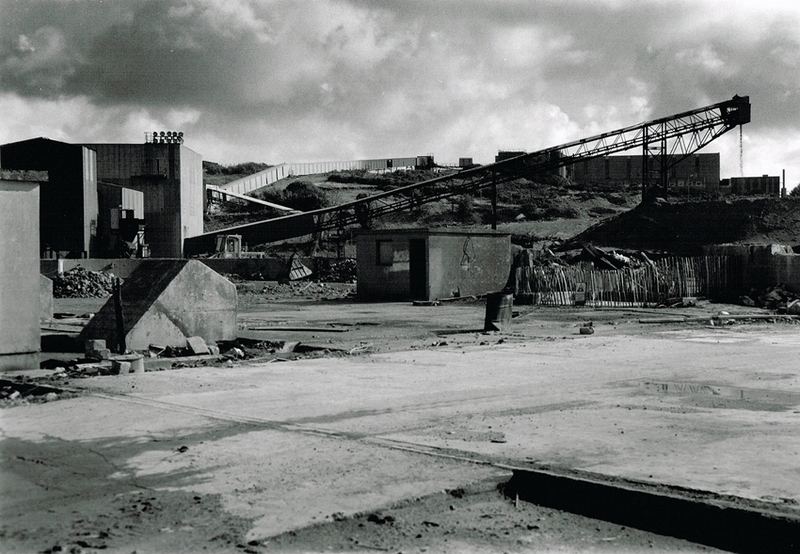 Wheal Jane Mine Gallery 2.7: An image looking across the mine yard, in the background are the mill buildings, the conveyor belt running from the crusher would move the material up the hill for processing. 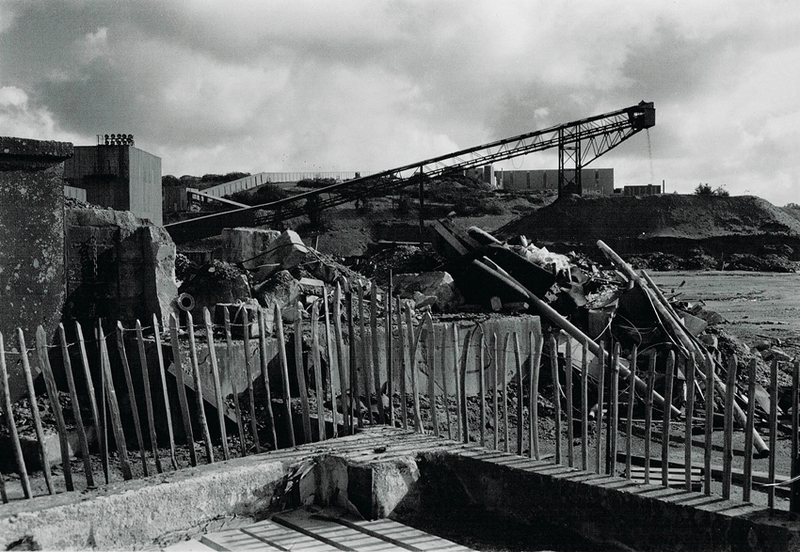 The concrete blocks in the foreground were for the headframe over Clemows Shaft. Wheal Jane Mine Gallery 2.8: One of the fenced open shafts (Clemows), with the conveyor belt in the background. 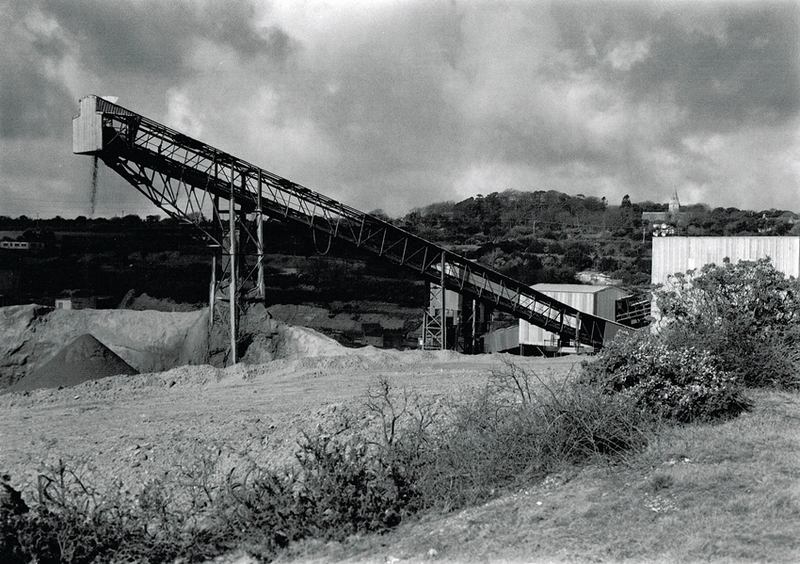 Wheal Jane Mine Gallery 2.9: From a different angle the Primary Crusher House and the conveyor. Wheal Jane Mine Gallery 2.10: Nothing of this is left, the last of the buildings were demolished in 2014, it is very sad that so much was lost from the mining history of Cornwall. Wheal Jane Mine Gallery 2.11: This and the next few images are of the conveyor belt from the crusher house. Wheal Jane Mine Gallery 2.12: Luckily it was a good day for photography as I would never have the chance to see this working again. 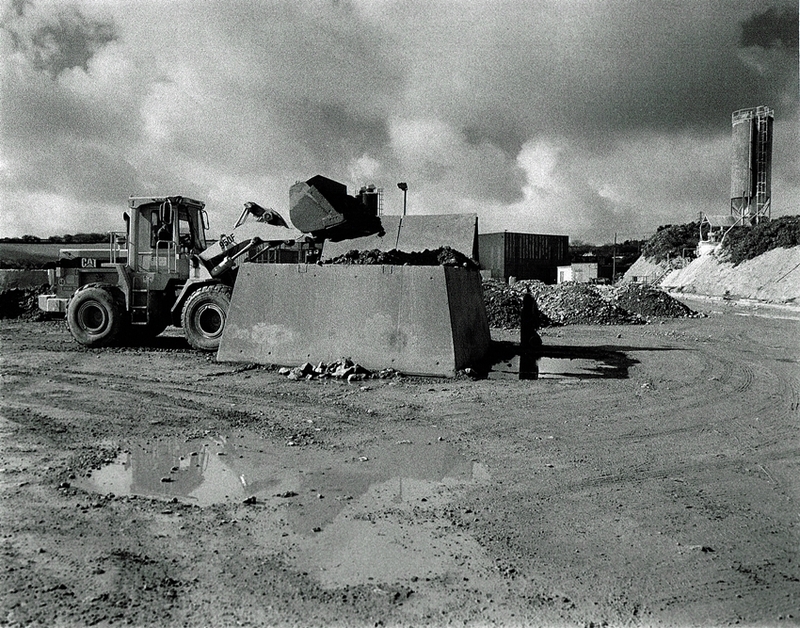 Wheal Jane Mine Gallery 2.13: The pile of crushed material from the primary crusher, from here it was moved to the Processing Plant, in the background the water treatment plant can be seen. 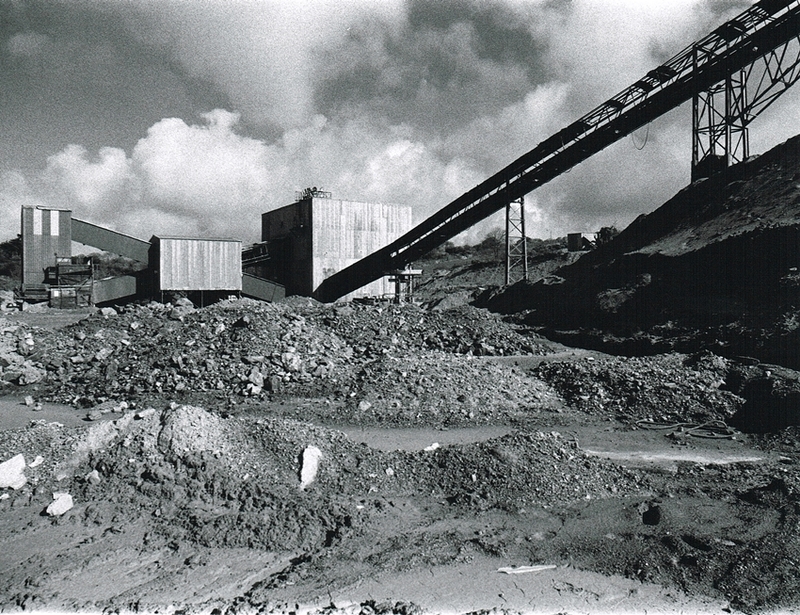 Wheal Jane Mine Gallery 2.14: A good image of the gravel pile and the conveyor outlet. 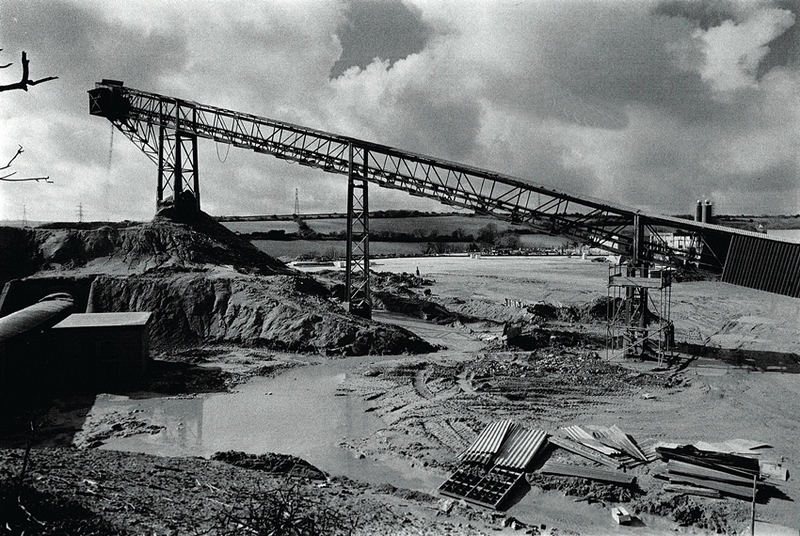 The conveyor to the mill ran under the the gravel pile, its feed controlled continuously by a hydraulic “hopper” ensuring constant feed to the mill into the ball mills. 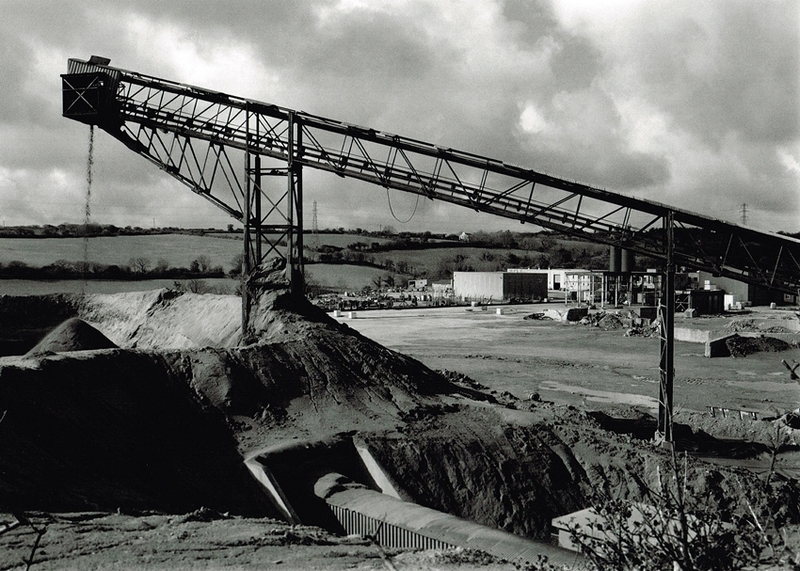 It was also controllable from the mill to keep the flow of gravel from the crushers at the required rate. Wheal Jane Mine Gallery 2.15: The site had fallen into disrepair with little money for maintenance, it was a very tightly run operation. A note from Paul Chesterfield. 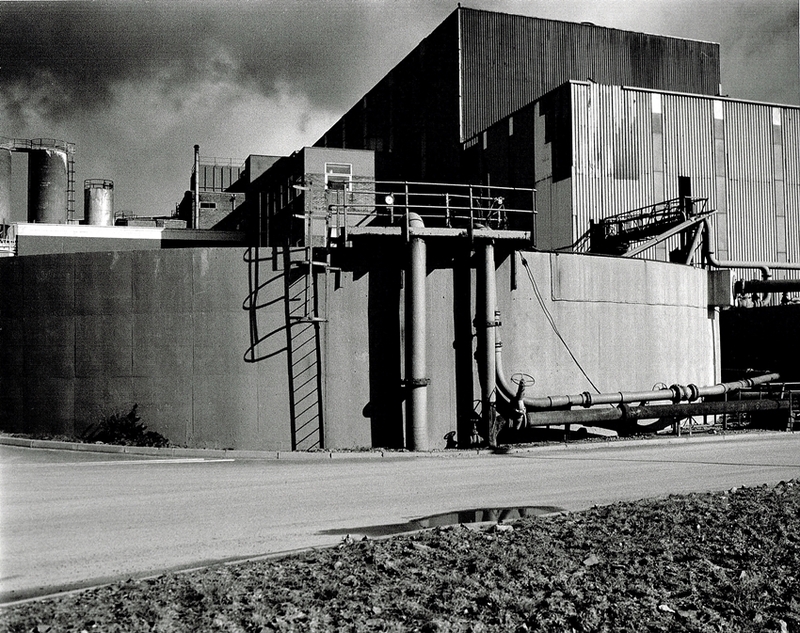 This image showing the conveyor minus cladding is quite stark. 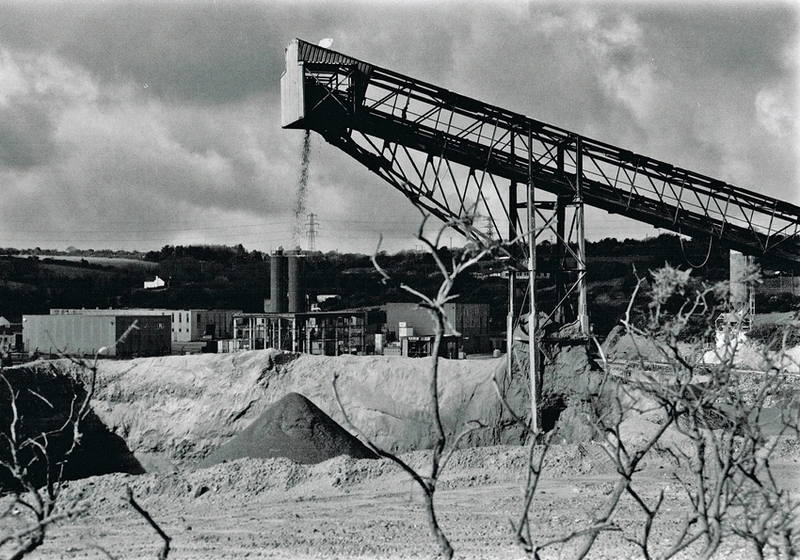 When I worked at the mine between 1980 and 1987, the cladding was always complete, but used to rattle in strong winds. We had to walk to the top of the conveyor to check the bearings and motors plus the emergency stop system which was a pull wire running the length or the conveyor. I wouldn’t have wanted to walk to the top with no cladding, as it wouldn’t have been safe to do so. 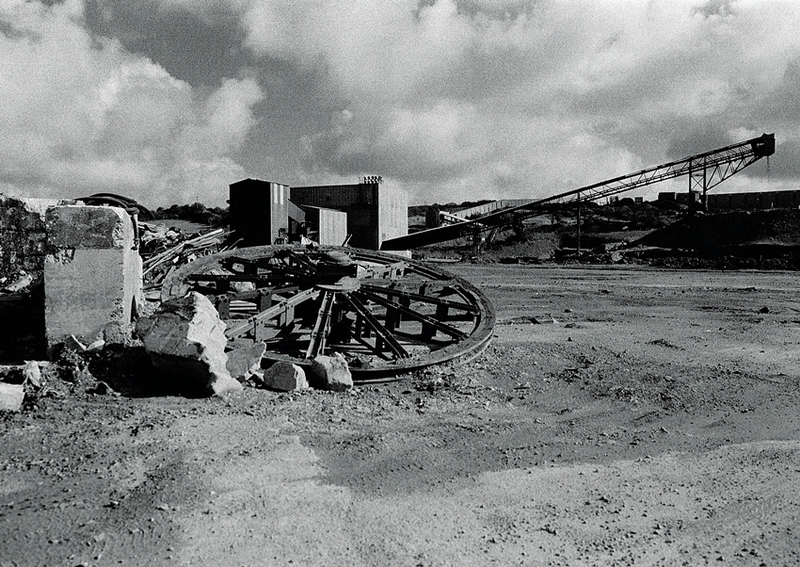 Wheal Jane Mine Gallery 2.16: A final image of the conveyor belt, the pile of crushed or in the foreground is due for treatment in the mill. Wheal Jane Mine Gallery 2.17: An image of the outside of the mill building, in the foreground is a settling tank where fine particles of Tin were separated from the mill outflow. 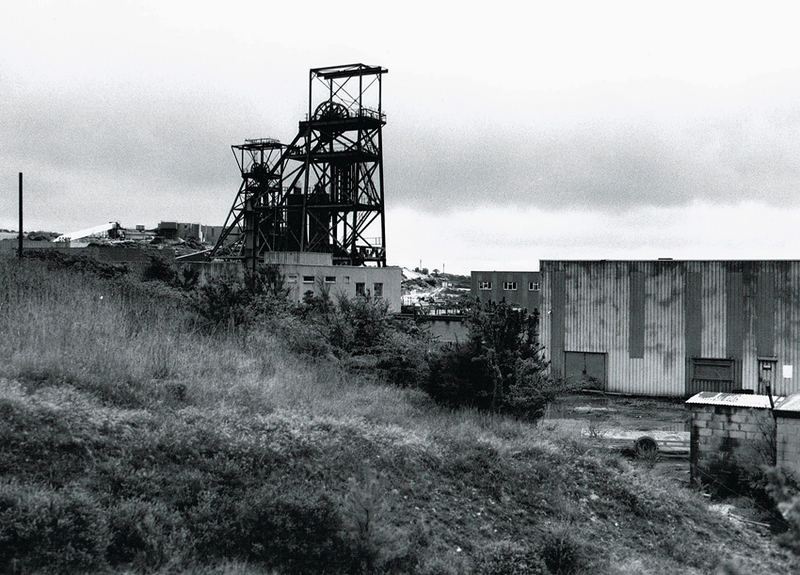 Wheal Jane Mine Gallery 2.18: A final image of the twin headframes, this was taken soon after the mine closed. No2 Shaft is closer to the camera. Paul Chesterfield: this image shows the rear of the workshops, plus in the middle between the workshops and the headframes the stores block and associated offices for the clerical staff. The stores, where incidentally my late father worked (twice for Consolidated Gold Fields and Carnon Consolidated or RTZ) housed spares for almost everything in the mine, ranging from small circuit boards for the instrumentation systems in the mill up to lengths of track for the locomotives to run on.